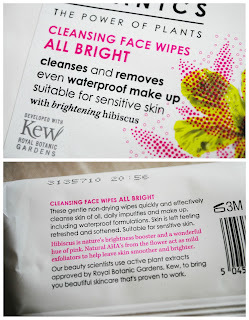 I mentioned these face wipes a few weeks ago in my May Haul, but I didn't have much to say as I had only been using them for about a week. It's been several weeks now, and I'm actually really pleased with them (which is good, seeing as I bought three packs). 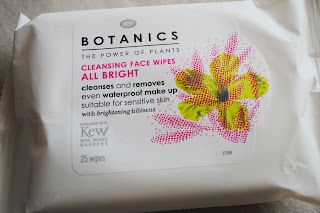 In my May Haul post, I talked about how Boots had recently changed the packaging for their Botanics range, and while I still prefer the original, the new design is growing on me. It's definitely more youthful and the artwork is really pretty, and I'm quite keen on the matte packet. As for the face wipes themselves, I think they are pretty good. As I said before, they remove makeup easily and they're soft, plus they don't smell too chemically, which is always nice. According to the label, they contain hibiscus, which is "nature's brightness booster" due to its AHAs (Alpha Hydroxy Acid), which "act as mild exfoliators to help leave skin smoother and brighter". 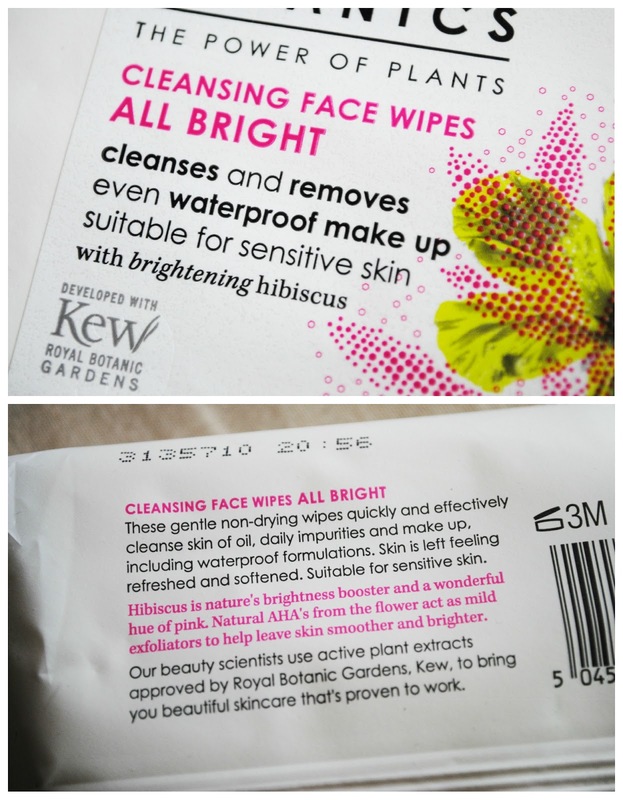 After using these wipes for a few weeks, I do feel like my skin looks brighter and more dewy. That could be partly down to the good weather we had been having (which is nowhere to be seen at the moment), but I'm sure the face wipes have at least something to do with it. Unfortunately I don't have any pictures to prove it, so you'll just have to take my word for it! 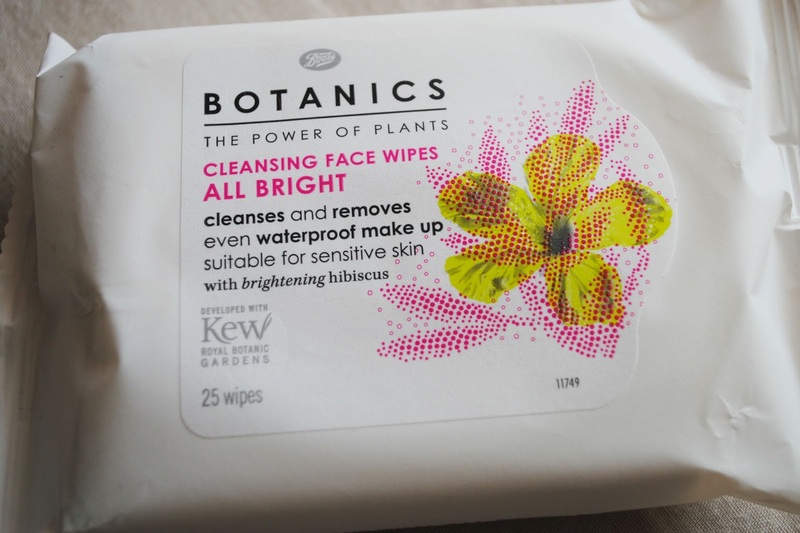 If you're looking for some cleansing wipes that are exfoliating without being rough, that won't upset your skin (Boots claim that these are suitable for sensitive skin), and that will brighten your complexion to give you a radiant glow, I would definitely recommend these. And, with Boots still running their 3 for 2 offer on selected beauty products, they are an absolute steal at £6.98 for three packs of 25 wipes!